Among people who use illegal drugs, engagement with the criminal justice (CJ) system often involves an ongoing, intermittent series of arrests, incarcerations, and periods of community supervision. 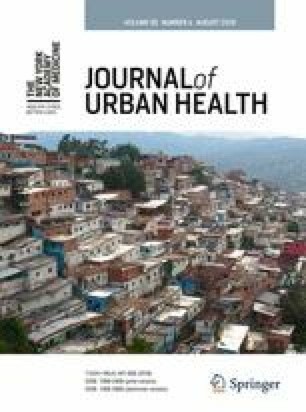 The potential associations between the lifetime accumulation of CJ involvement and social and health outcomes is largely unexplored. In a cross-sectional sample of women who use crack, heroin, and/ or methamphetamine recruited from communities in Oakland, CA (N = 624), we developed an approach to characterize CJ accumulation. We used latent class analysis (LCA), a multivariate person-centered method that assumes an unobserved categorical variable that divides a population into a small number of mutually exclusive and exhaustive classes. Using observed measures of incarceration and community supervision as indicator variables, we developed a model of CJ accumulation that elucidates patterns of involvement as lived by the women in the sample. Based on model fit statistics, we selected a three-class model and labeled the classes “low,” “medium,” and “high.” We then explored associations between the classes of CJ accumulation and health and health-related outcomes using logistic regression. The odds of homelessness (p for trend = 0.004), transience (p for trend = 0.017), and recent victimization (p for trend = 0.023) were higher among women in higher accumulation classes. Higher class of CJ accumulation was associated with higher odds of reporting unmet need for physical health care (p for trend < 0.001) and mental health care (p for trend = 0.002). The odds of physical health conditions, such as hepatitis C infection (p for trend < 0.001) and mental health conditions, such as depression (p for trend = 0.003), also increased with higher class of accumulation. While the findings described here are limited by the cross-sectional nature of the study, they suggest that CJ accumulation is a potentially meaningful concept for assessing associations between the CJ system and health-related issues. This research was funded by the National Institute on Minority Health and Health Disparities (grant #R01MD007679). All procedures were reviewed and approved by the institutional review board (IRB) at RTI International.